[Fill in the blank] watching fireworks, walking, watching TV, out at a film, hanging out with friends, spending time with the family. There are so many places and times you can fit in your favourite hobby. But is there a way to do it without missing the next witty line or making your friends and family feel ignored? But of course! 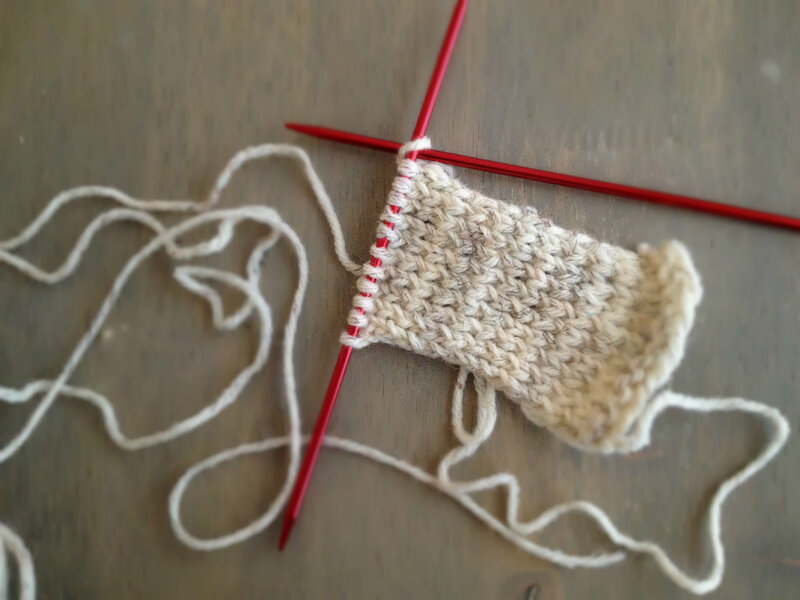 One of the easiest ways to keep up with your knitting while doing something else is learning to knit without looking. It sounds harder than it actually is, trust me. The technique is all about feeling the stitches and controlling them by touch rather than by sight. Once you have this down pat, you can watch TV, go to the movies, take a long trip, and even read while working on your knit projects. How do you do that? You might ask. Well, I’m glad you asked! When you’re learning this technique, it is easiest to use a swatch piece, something you’re not worried about messing up. You can either do stockinette in the round or garter stitch for a flat piece. 1. Knit a few rows. This will make it easier to compare how you’re doing without looking. 2. Knit a couple of stitches in the row to get a good feel for it. Now, watch TV, but let your hands continue. You can do this slowly at first; it is not a race. 3. Once you have reached the end of the row, take a look at your knitting. Are the stitches tighter or looser than before? Did you drop any stitches? Make a mental note or write it down. 4. Repeat 2-3 until you’ve got the hang of it. Like all things with knitting, this will get easier with practice. I really struggled at first, but now I can pretty much do it without realising. I’m not fantastic at it yet, though. For instance, I only do this technique with stockinette or garter stitch, never lace or colorwork. Lace and colorwork, I’ve found, take a little more concentration. The shawl, for example, is not something I would do this with. The iPhone case I’m working on completely is. What do you like to do while knitting?